Located on the fourth floor, the stunning property is immaculately presented and furnished to the highest standard throughout. 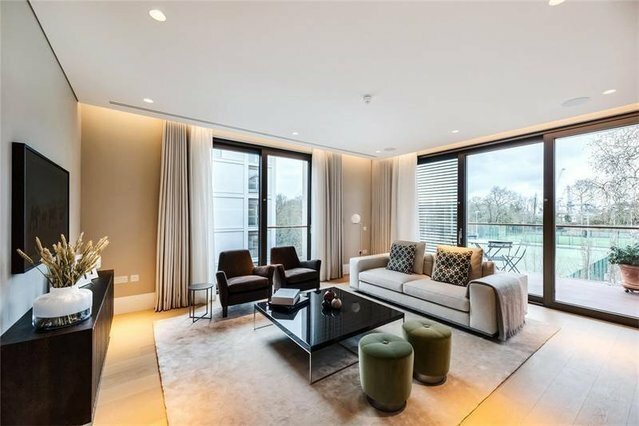 An expansive hallway leads through the apartment into a spacious open-plan kitchen / reception room with dual aspect windows and access onto a private, decked balcony. The luxurious master suite boasts a stunning bathroom, with double sinks, walk-in shower and bath, and excellent fitted storage. There is a further double bedroom, with en suite shower room, plus a guest cloakroom and utility cupboard.